Modeled after a tropical forest, this Conservatory pavilion reaches 65 feet tall to accommodate trees and includes waterfalls and streams. 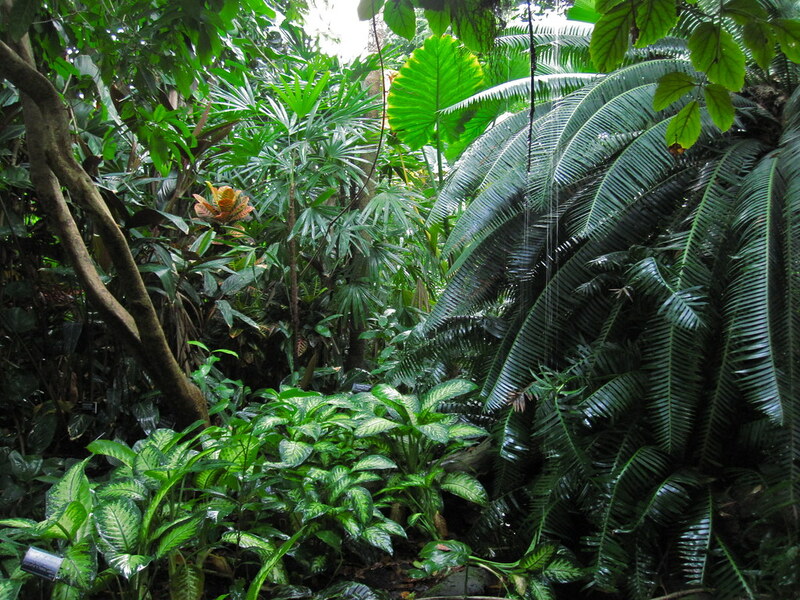 Plants from the Amazon basin, African rainforest, and tropical eastern Asia are represented. 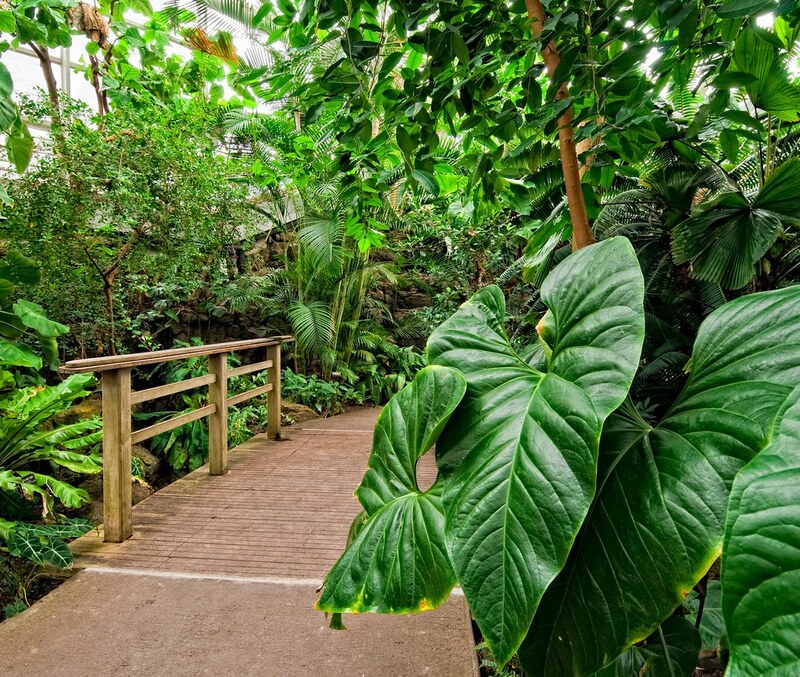 Food, medicinal, industrial, and ornamental plants from all over the world are planted throughout the house, including banana plants, native to southeast Asia; rubber tree species, from Central America; and palm trees from Madagascar. You will also see some favorite houseplant species growing beneath the canopy of taller shrubs and trees. Sweetsop (Annona squamosa ‘Kampong Mauve’) in December. Photo by Lee Patrick. Hanging bunches of (toxic) fruit of the fishtail palm (Caryota species). Photo by Blanca Begert. Anthurium crassinervium in the Tropical Pavilion in March. Photo by Rebecca Bullene. August blooms of Brazilian-plume (Justicia carnea var. purpurea). Photo by Rebecca Bullene. Codiaeum variegatum var. pictum ‘Karon’ (garden croton) provides technicolor foliage in the Tropical Pavilion. Photo by Lee Patrick. Blog > What Are Those Fruits in the Conservatory? The Tropical Pavilion in February. Photo by Antonio M. Rosario. The Tropical Pavilion of the Steinhardt Conservatory. Photo by Rebecca Bullene.